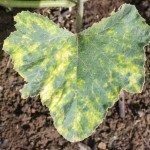 Choanenphora wet rot control is essential for those of us who love to grow squash, cucumbers and other cucurbits. What is Choaneephora fruit rot? 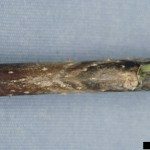 You may not know the disease as Choaenephora, but you probably know what blossom end rot is. It is evidenced by soft, rotting ends on squash and other cucurbits. The disease is caused by fungal mold and it isn’t easy to get rid of once you have it, but it is easy to prevent. What is Choanephora Fruit Rot? Choanephora wet rot in plants begins in the flowers, which will bear a powdery white residue. Once fruits begin to form and the flower withers away, the flower end of the fruit shows signs of mushiness and rot along with white or purplish powder. It progresses into the fruit, stunting growth and destroying much of the edible tissue. Once the disease is on your plants, it can spread quickly, so controlling Choanephora fruit rot immediately is essential to saving the crop. Choanephora fruit fungus can overwinter in garden debris. Fungal spores spread in spring by wind and insect movement. Warm, wet conditions encourage the growth of the fungus, which is one of the fastest growing fungal diseases. You can use a hand magnifier and see whisker-like growth on the fruit to differentiate it from another common fungal disease, Rhizopus soft rot. In areas with high humidity and moist conditions, the fungus can blight as much as 90 percent of a crop. Choanephora wet rot in plants is difficult to control because new flowers are forming daily and are newly susceptible to the spores. There is no prescribed Choanephora fruit rot treatment. Some growers suggest using fungicides, but these are only affective on the flowers that are treated. Over the course of a day or two, these flowers are replaced by new ones so you would be faced with treating the plant every couple of days. This is not a safe solution for developing fruits, so fungicides are, therefore, not considered useful. Some gardeners swear by the addition of calcium to soil to prevent the disease by adding Epsom salts or crushed eggshells to the soil at planting. This will certainly bolster the health of the plant but will not prevent spores from eating into the fruit. Choanephora wet rot control actually begins when you are planning the vegetable garden. Before you plant a single seed, consider crop rotation. This will prevent any cucurbits from being planted in the same soil as the previous year where soil may be contaminated by the fungus. Space the plants well so there is plenty of air circulation to dry out the leaves and stems. Avoid irrigating overhead in the evening when plants cannot have time to dry off. Planting squash and other susceptible plants in raised beds with drip irrigation also seems to be helpful. Clean up infected plant debris. You may still get one or two infected fruits, but you should be able to save the bulk of the crop with these practices.